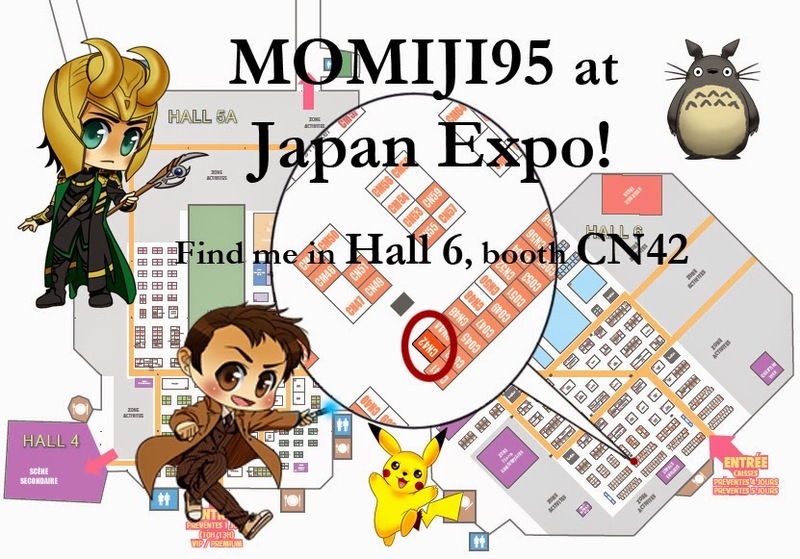 Momiji's Gallery: Japan Expo 2014! It's now official, I will be at Japan Expo in Paris, July, 2 to 6, 2014! Find me in Hall 6, amateurs alley, booth CN42! I will be selling buttons, keychains and bookmarks of many fandoms (Doctor Who, Sherlock, Supernatural, Marvel, Pokémon and more)!